The images offered for sale have been created by photographic artist, Debbie Fimple. Born and raised in Oklahoma, Debbie has a great appreciation of red dirt, prairies and rural life. However, her favorite subjects are found along the 4x4 trails through the lofty mountain passes of the Rocky Mountains. Dr. Debbie Fimple is a veterinarian by day and a nature and wildlife photographer whenever life gives her the opportunity, Debbie studied photography with professionals from all over the United States and Canada. She has won top honors in the Rocky Mountain Shoot Out and the Professional Photographers of Oklahoma print competitions. One of her Colorado landscape images was selected for the prestigious Professional Photographers of America traveling exhibit and published in the annual PPA Loan Collection album. In the DFP galleries, you will find a variety of images that capture the beauty of alpine flowers, the perseverance of century old mining structures, the 'cool' of classic cars, the grandeur of majestic mountain vistas and the whimsy and grace of the mountain wildlife. Debbie loves to travel abroad, so there are images from her European and Australian adventures in the galleries as well. Only the 'best of the best' images are selected to be featured in the DFP Portfolio and offered for sale. You can visit Debbie's Blog page to learn the story behind the creation of each image in the gallery pages. If standing quietly in a grove of golden aspens, listening to the rhythm of the leaves rustling in the wind fills you with a sense of peace and calm, you will undoubtedly appreciate one of Debbie's photographic creations in your home or office. 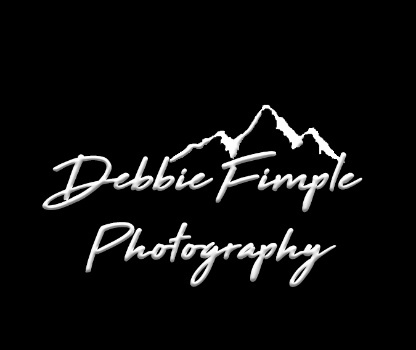 Debbie Fimple Photography offers traditional prints as well as prints on fine art canvases and vibrant prints on metal. More information on purchasing an image can be found on the DFP Pricing page. Click here for Debbie's contact information. May the peace of the mountains be with you!